LION BABE – the New York based duo made up of singer-songwriter and performance artist Jillian Hervey and producer and instrumentalist Lucas Goodman aka Astro Raw – have released a set of must-listen, brand new remixes for their two latest tracks ‘Hit The Ceiling’ and ‘Rockets’ (feat Moe Moks). Unveiling the addictive dance-funk Zikomo remix of ‘Hit The Ceiling’ last week to introduce the project, the band have released three further remixes. ‘Hit The Ceiling’ also gets the remix treatment from legendary dance producer and DJ Kenny Dope whilst ‘Rockets’ (feat Moe Moks) is given an urgent, Afrostep remix by mOma+Guy and a sultry and soulful update from collaborator and fellow New Yorker Simen Sez. 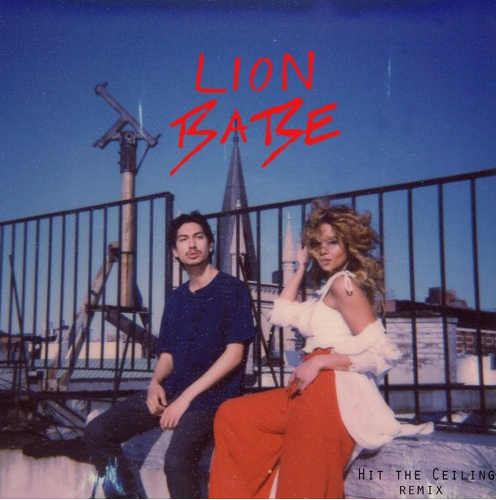 ‘Hit The Ceiling’ is the latest song to be offered from LION BABE’s highly anticipated forthcoming project, which is set for release in the new year. Alongside their track ‘Jump Hi’ (feat Childish Gambino), ‘Hit The Ceiling’ featured on the second season of Issa Rae’s Golden Globe nominated HBO series ‘Insecure’ and also features on the show’s official soundtrack alongside tracks from artists such as SZA, Bryson Tiller and Goldlink. Earlier this year, the band shared the first taste of the project via the sublime ‘Rockets’ feat. Moe Moks. The forthcoming project will be their first commercial release since the band’s critically celebrated debut studio album ‘Begin’, which was released last year and featured collaborations with the likes of Pharrell Williams and Childish Gambino and career-defining tracks such as ‘Treat Me Like Fire’ and ‘Jump Hi’. Check out Zikomo’s treatment of their single, ‘Hit the Ceiling’. To hear the full playlist, head right here.